I’m going to share a little known tactic with you that a good number of oral board panels use, and a few chiefs (myself included) that’s meant to pull from you, something you should never say or do. If you’re in an oral board interview and the panel is made up of a group of stern faced, stuffed shirts, you’ll likely not be facing the tactic that causes me to write this post. If, on the other hand, your panel seems to be very, or even exceedingly friendly, read this post in its entirety, you could be in danger. This can be an interview killer. I’m not much of a trickster when it comes to interviewing. What I mean is, I’m a pretty straight forward Chief, but there is a tactic or, better put, maneuver that I employ at EVERY interview. It’s critical that you’re aware of this stratagem. I’ve eliminated many, MANY candidates through the years, by way of this interview ruse. Blue Jeans, at an Interview? Because I’m not terribly fond of traditional oral board interview practices, in the administration of my agency, I’ve mixed things up a bit over the years. Once my staff has pared down the number of viable applicants to a reasonable number, before they move on to any phase of the oral board process, I phone the officer candidates and ask them to come to my office for an informal interview. Admittedly I remain rather perplexed that the general public, referring specifically to the camera handlers, seem to be far more schooled on the state and federal laws that govern such activity, as well as the protections provided under the United States Constitution, than are many officers themselves regarding the matter filming in public. The legality and legitimacy of capturing video of these public servants, when done by the media or a well-established entertainment outlet, seldom if ever creates controversy of any kind. The equation changes dramatically however, when private citizen John Doe wields a video camera or smart phone anywhere near an on-duty officer. A very cursory glance of YouTube yields hundreds of videos made and posted by would-be, amateur journalists. Opinions as to whether or not anyone should so much as even engage in such activity, runs the gamut. While I won’t necessarily join the debate by jumping in with both feet, I’ll likely put my toe in the water by the end of this article. Oral board question – Being filmed while on duty…? 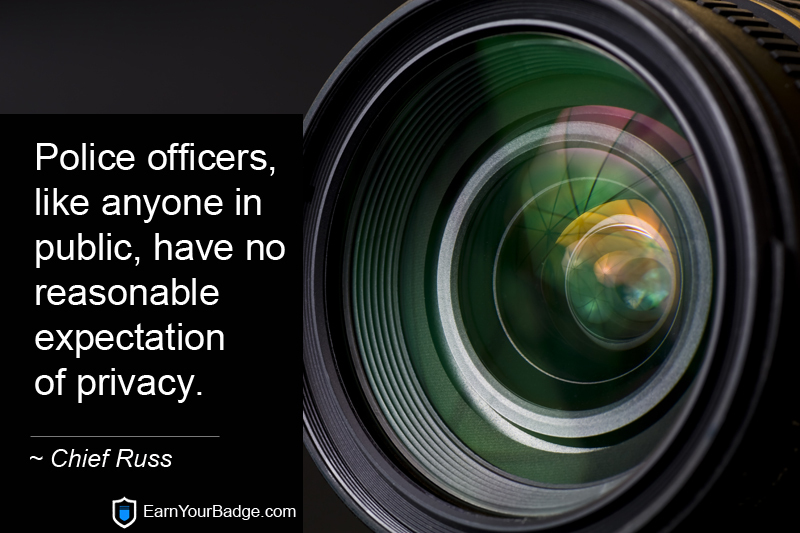 In the event that being filmed on duty, by a member of the public, should come up in your interview, how will you respond? Will the oral panel ask me about pickets, protests, mobs and riots? They might, and I want you to be prepared in the event you get grilled on this topic. It’s the interview panel’s job to determine whether or not you have a reasonable sense of urgency sprinkled with a bit of courage, but that you also know when you’re about to get beaten to a pulp. Courage is great. Unadulterated and complete dedication to blindly allowing yourself to get eaten by a pack of wolves, not so great. As you read this article, you’ll find a great number of statements and observations that will allow you to provide an oral board panel ample articulation of your knowledge on the topic of crowds and riots. I encourage you to begin forming your own opinion as to how you might approach this, and any other situation that may cause you to be grossly outnumbered, outgunned or in a situation that you believe may not be physically survivable. Let’s move forward with this disclaimer. I am, in NO WAY, suggesting that you BAIL when the chips are down. In most instances, law enforcement officers don’t run away from danger, we run to it. There are some, few, but some exceptions to that rule and an officer that finds themselves alone, in the midst of a full blown riot, is just one. 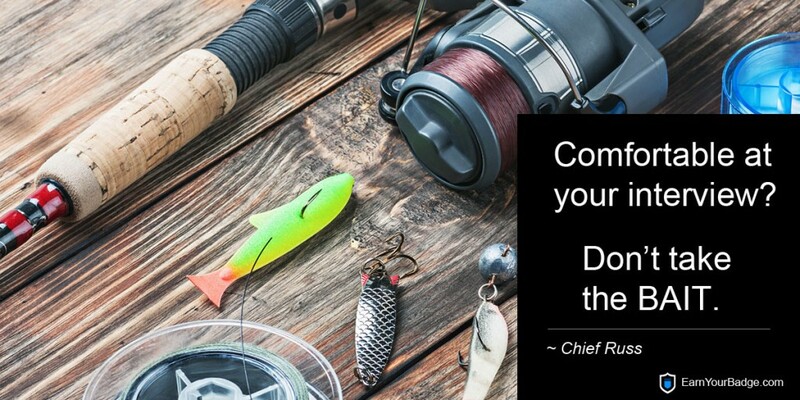 Often our duties are satisfying, rewarding and at the very least, we can take away a sense of accomplishment in so many of the tasks that come our way. There’s the other end of the spectrum as well. Those calls for service or the duties assigned to us sometimes cause officers to shudder at the thought. If you intend to pursue a career in law enforcement, the time is now, that you develop an articulable opinion on the topic of officer discretion. If you can tell the oral panel what officer discretion is, and how you’ll use it on the street, diplomatically, you’re doing well to prepare yourself for a position at their agency. Few candidates can speak frankly on the topic of officer discretion because, quite honestly, they’ve never really given it much thought. Yes, they kind’a, sort’a know about it, but kind’a and sort’a has caused countless law enforcement applicants to fall flat on their face when the question of, or discussion of officer discretion comes up in an interview. Let’s get you planted on solid ground. Stop or I’ll warn you! 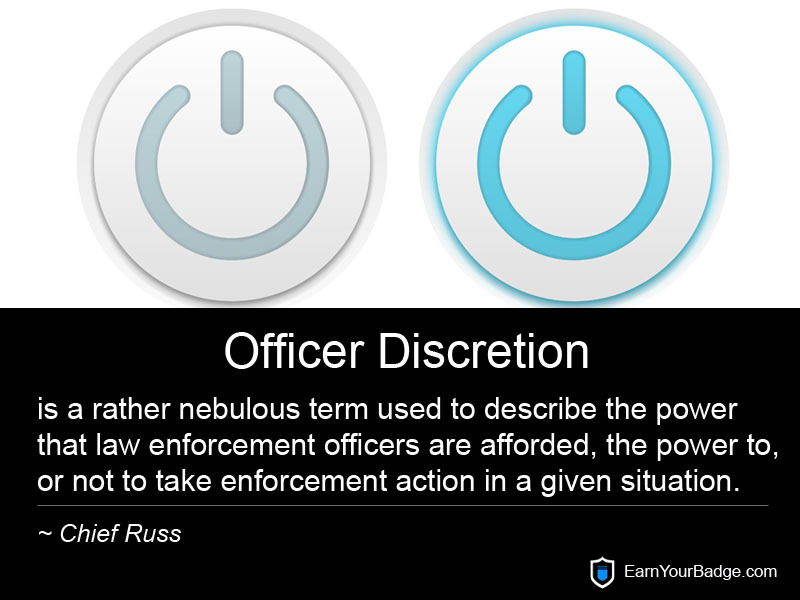 The average person will describe officer discretion as giving, or not giving a speeding ticket. That same average person, after receiving a well-deserved speeding citation will often grumble under their breath, that the officer COULD have used some discretion for crying out loud! When you’re in the interview, will you know how to answer questions about internal change? Adapting to societal changes , can be challenging for any business or organization. This is so very true for interdepartmental change in law enforcement. Cops don’t necessarily like to alter how we conduct business and officers can be obstinately resistant to change. It’s certainly true that traditionally, law enforcement can be slow to recognize the need for change. 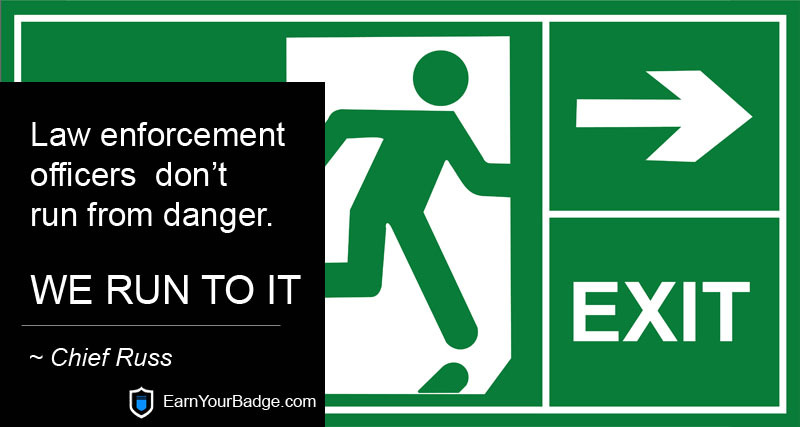 Agency supervisors and administrators (those tasked with implementing change) know this all too well. If the agency for which you’re interviewing is progressive, they’re going to want to know that the applicants they hire are going to welcome modifications to policy if not department wide transformation when or if it’s ever needed. If you’re the candidate that can speak openly and comfortably about the need for, and your desire to accept a change-filled environment, you’re going to set yourself apart from the applicants that haven’t so much as given this topic an ounce of thought, let alone, any amount of research. Because you’re reading this post, you’re already miles ahead of your competition. Amongst the troops, the street cops, there is a common opinion shared by many. The idea of changing how cops conduct business is akin to turning one’s back on good old fashioned, traditional police work. 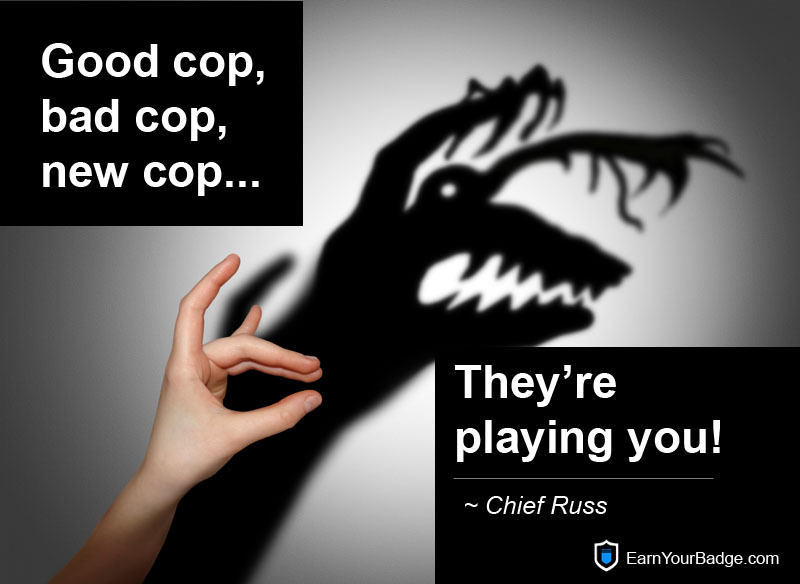 The makeup, disposition, character and even the personality of any law enforcement oral board panel can and does vary from agency to agency, but there is a common fear among law enforcement candidates and it is, the “mean cop” panel member. This fear is common because unfortunately, the practice of putting a hard-nosed cop on the panel is common. I have never allowed this to take place on any of the panels that I’ve conducted for my own agency, but over the years I’ve assisted other departments that employ this tactic. For that reason, I want to share a few tips with you as they relate to interviewing before a panel such as the one I’ll describe. In doing so, I’m going to share some insider knowledge of police oral board tactics, some of which might be a bit surprising to you, particularly if you’ve never interviewed before a panel. As you read my dissertation, please don’t assume that I’m referring to all oral board panels. If I’m guilty of anything in this article, it’ll be the fact that I’m generalizing. That’s not a disclaimer nor is it a veiled apology to anyone who might read this and who have themselves served on a panel, it’s just fact. Sometimes truth offends people. I’m okay with that, so here’s the somewhat dirty side of some law enforcement interview panels. Good cop, bad cop, new cop! I’ve had the pleasure over the many years of my career, to meet, talk with and get to know an amazing array of interesting, talented and very skilled people. I recently met a doctor who specializes in public safety consultation. He provides a multitude of police agencies with assisting their administrative teams, and officers, in appreciating and managing the unique stressors faced by those serving in law enforcement. 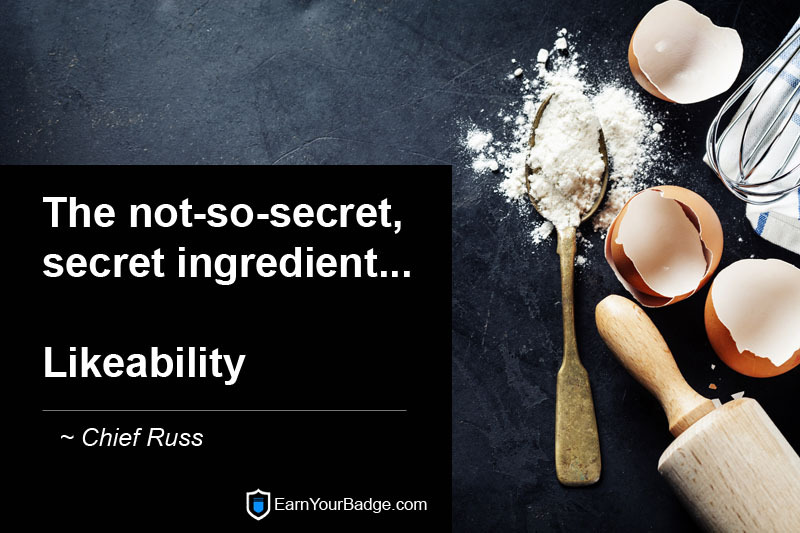 While we were discussing the basic principles of work related stress and how it can affect the agency as a whole, he said something that’s not only true for law enforcement, it’s true throughout life. We were talking specifically about on the job stress, when he said this. One of the most profound and true statements I think I’ve ever heard. 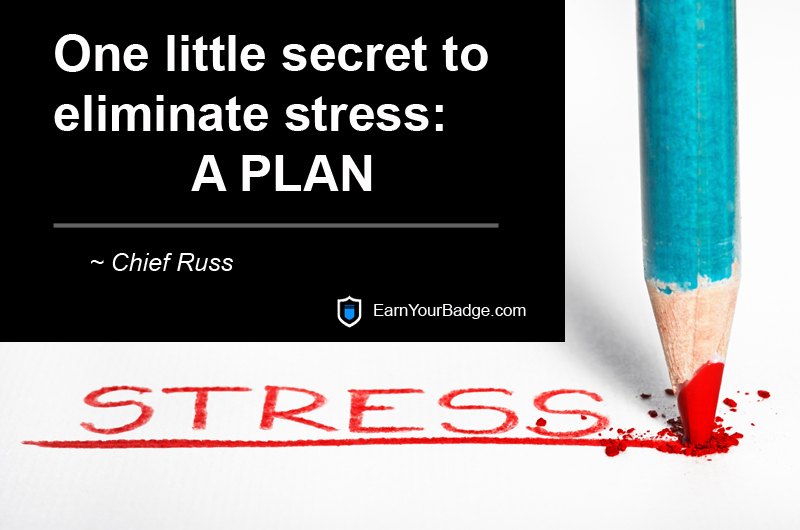 Stress can always be eliminated with a plan. A truly remarkable statement in its simplicity. You need to be a powerhouse, a virtual force to be reckoned with, so dripping with confidence that you’re almost mean! So sure of yourself that they’d be simply foolish to not give you a job offer half way through the interview, right? Well, no, and I’m not trying to trick you, I’m suggesting that I’ve seen this attitude a gazillion times, and it absolutely never works, ever! Or, how about we take this approach? Maybe you should be that candidate that SO badly wants the job and you’ve portrayed that burning desire SO well, they can’t help but hire you for cryin’ out loud, if for no other reason other than the fact that you’ve convinced them of your want for this job more than anyone else! Right? Nope, again however, far too common an attribute in the oral board setting. 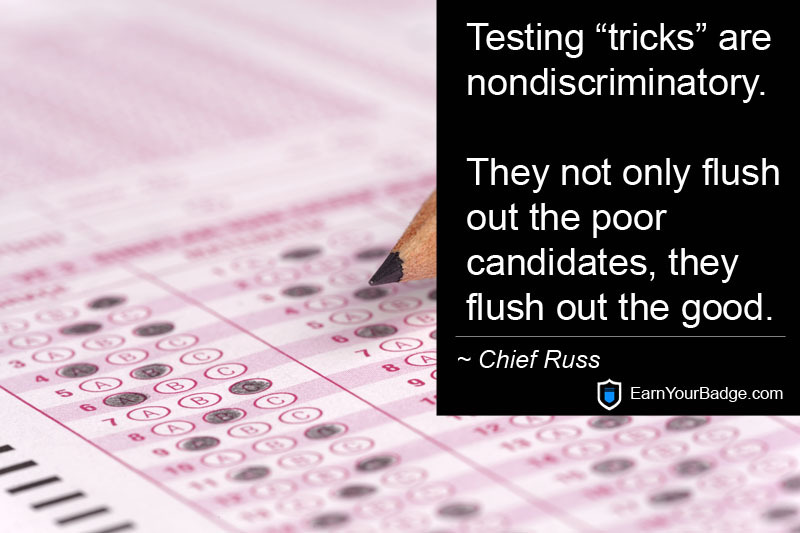 Panels greatly dislike both types of applicant, and we don’t hire them. Not secret? Then why doesn’t every candidate to it, use it, exploit it for all it’s worth? The harsh answer is, they think they know better and that thought is so powerful they act on that emotion, and in the end, it hurts their interview and more likely, ruins it. Candidates that feel they must do or act in a certain manner during their interview simply aren’t prepared with proper, job winning interview skills. 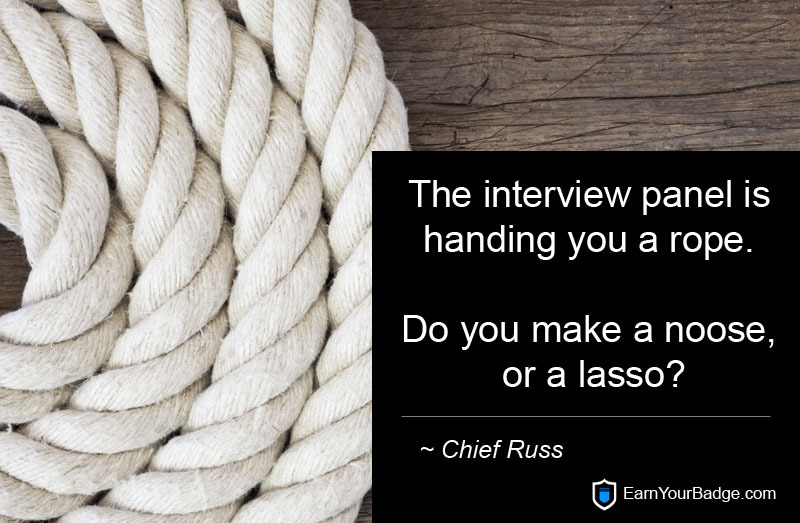 With more than 20 years of experience conducting and managing oral board interviews, I think I can fairly say I’ve heard every possible answer to every question asked of a candidate. The most gratifying feeling a seasoned oral board panelist can experience, is grading the answers of that exceedingly rare applicant that presents an amazing interview. With rare exception on all of the countless oral board panels that I’ve sat on through the years, one constant remains. We, the panelists, want to hire the next guy or the next gal that walks in the room. Interview panels are charged with finding the best applicants they can, and to that end, it’s our hope that the next person who walks through the door is going to be an interview rock star. Unfortunately, very few are and there are some days, none of them are! I liken the interview process to panning for gold on a river bank. You simply never know if or when you’re going to hit pay dirt. When you do, it’s a great feeling. 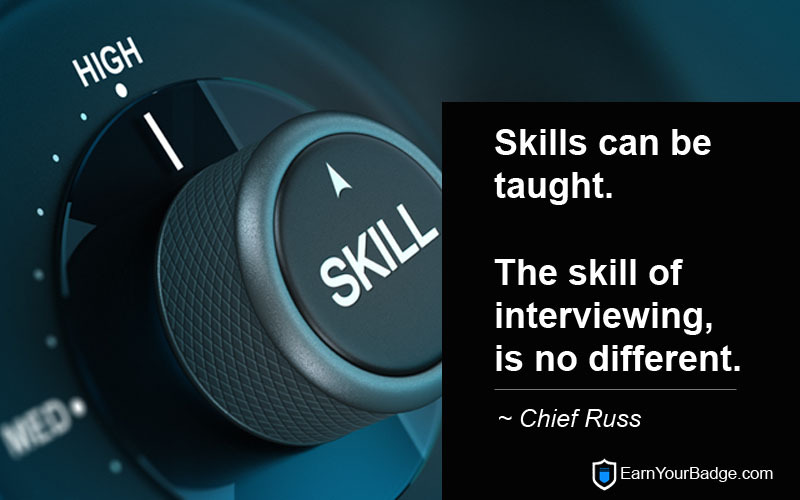 This is why I’ve dedicated the latter portion of my career as a police chief, to assisting applicants with honing their interview skills, and thankfully, learning to be that person, the rock star candidate, is teachable and more importantly, learnable. To be sure, interviewing properly, in a manner that will land one a job offer is a skill, and most all skills can be taught and the skill of interviewing properly, is no different.